of A Feast for Kings regrouped to create XXI, named in tribute to Gentry’s age when he passed. 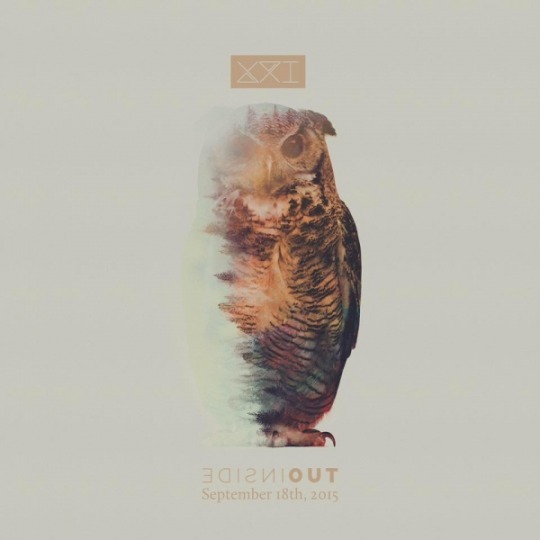 XXI delivers a solid album filled with heartfelt lyrics in tones of progressive screamo music, but Inside Out doesn’t astound as much as it could, playing things a bit safe within the metal core sub-genre. and sleek rock melodies, with the right amount of screamo added in. Tracks like “Alive” and “Misfit” are upbeat, but the pain resonates in new lead vocalist Carson Butcher’s hard-hitting notes. provides enough emotion to carry the rest of the ever-melding albums. While most of tracks are consistent and flow together, there are moments where it feels like you are listening to one continuous 30-minute song. As muddied as it got at times, the album does have surprisingly strong end in “Way You Love Me,” with layered vocals over a slower rock melody to bring things to a close. The last tracks seem to blend together for a continuous flow of clean cut vocals with the highs and lows of screamo, which at times is pleasant but leaves you craving for a bit more. It’s easy to lose yourself in the tracks, which each individual listener can choose to be a good thing or bad. Inside Out has the makings for a great rock album but there is definitely more of a focus on getting lyrics over perfecting the unique sound to their music.